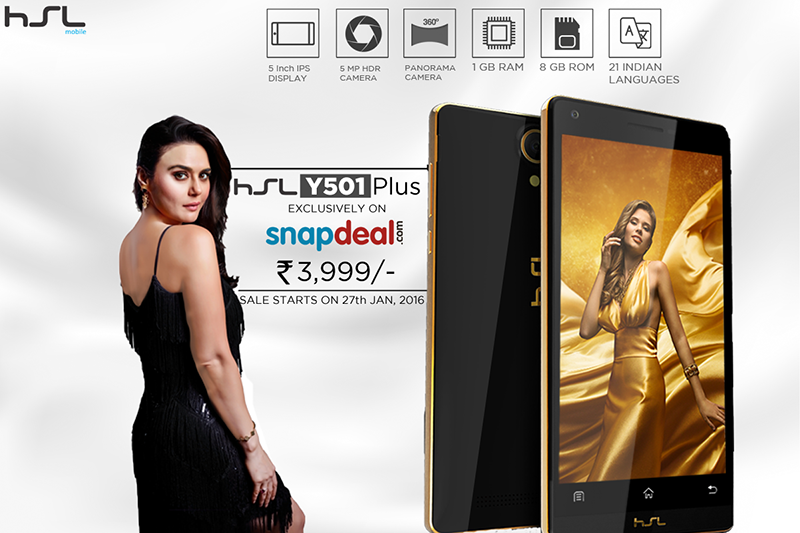 HSL has officially launched HSL Y501 Plus smartphone which passes the hammer test. And with Preity Zinta as the brand ambassador it marks the entry in India. Priced at Rs 3,999 it quite offers amazing deal first up and it will be available in White and Black color options. HSL Y501 Plus sports 5 inch 854 x 480 pixels FWVGA display with 233 PPI pixel density, its powered with 1.2 Ghz Quad core Mediatek processor coupled with 1 Gigs of RAM. There is 8 GB internal storage on the device and also has 5 mega pixel rear camera. HSL Y501 Plus price in India Rs 3999. It’s exclusive to Snapdeal and if interested hit the link below to book one for yourself.